Finding the right drone for your needs is not always easy, especially when the price ranges vary so much. You usually find that there are people that are prepared to pay through the nose for the latest technology (usually those that use for business purposes) and the people that are just dipping their toes in the world of drones and video capture that want affordable drones that they won't be too heartbroken about should it crash. There's little middle ground where you can get quality at a price you can afford, however there are a few gems out there that give you the best of both worlds for drones under $500. We have done the hard work so you don't have to and found drones cheap enough for all with great specifications for each all types of enthusiasts. Because the Phantom 4 is now available prices for its predecessor allow enthusiasts to get hold of affordable drones for less. 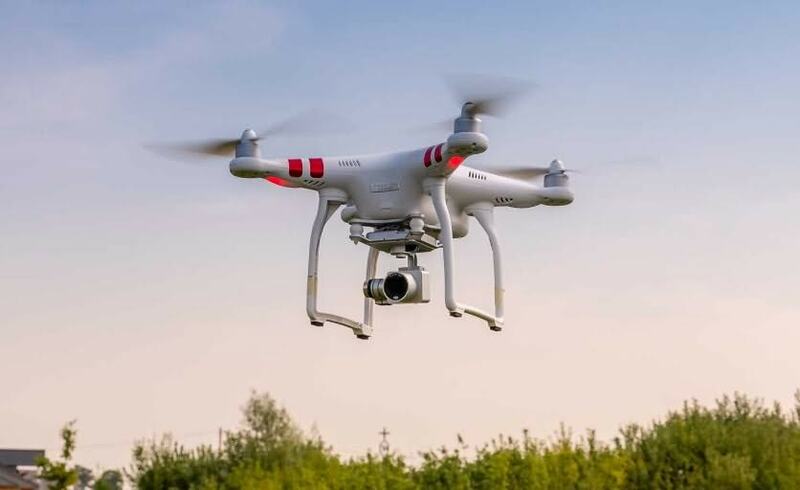 The DJI Phantom 3 standard has excellent stability for a smoother flight and film capture as well as 4K resolution so that you get more clarity and detail in your recordings. it is one of the best drones under $500 that money can buy as it has all the features enthusiasts want without a huge price tag attached. Being easy to operate it's a perfect choice for those that want to enter the world of drones and try out modern features for high quality recording without the risk. It can now be purchased for as little as $399. Just over a year ago the same quality and specifications the price would have set you back about $1000. If you are just starting out with videography and aerial photography the Parrot Bebop is one of the best drones under $500. It has 14 megapixel full HD capacities with 1080p. Excellent stabilization in flight thanks to the 3 axis stabilization capabilities. There's the autopilot, follow me mode and automatic landing which makes it easier to control and bring back to its starting position. It is controlled by mobile app making it easier to transport and control with a familiar device. You can add extra features by downloading a paid app including panning and plenty of other useful features, however the free app download is sufficient for beginners until they are ready to move onto the next stage. It can be purchased from around $400. Whether you just want to create the best selfies around or want to take your video recordings to the next level, the Yuneec Breeze has a lot to offer for one of the affordable drones. It has return to home features so you don't have to worry about navigating and landing it back in its starting point, follow me capabilities, a selfie app and so much more. It's easy for beginners to use but has enough functions and capabilities to keep those with more expertise happy. If you are looking for affordable drones under $500 that works with GoPro then the 3D Solo should be right up your street. 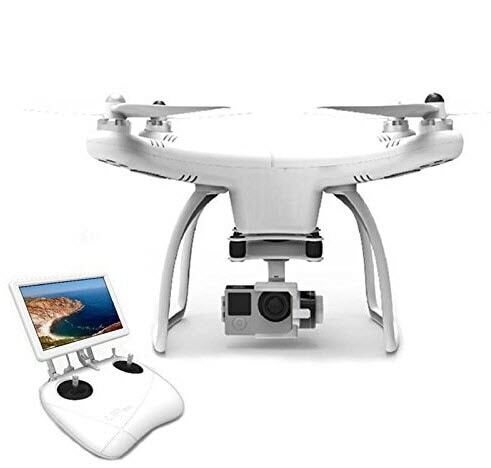 It can be purchased for under $300 and has professional features including first person view, compatibility with GoPro HERO3, HERO3+ and HERO4 and you can purchase a 3-axis gimbal to keep the camera stable while it is in flight as well as allowing you to take pictures and videos easily. You can use the included remote to control both the camera and drone so no fiddling about and it can take off automatically and return home with just one button being pressed to action it. Footage can be saved directly to your phone and you can get rid of unwanted footage in flight making it easier to store the parts you want to and make later editing easier. You can easily operate the drone in its automated modes so that the drone can follow pre-decided routes or follow you. 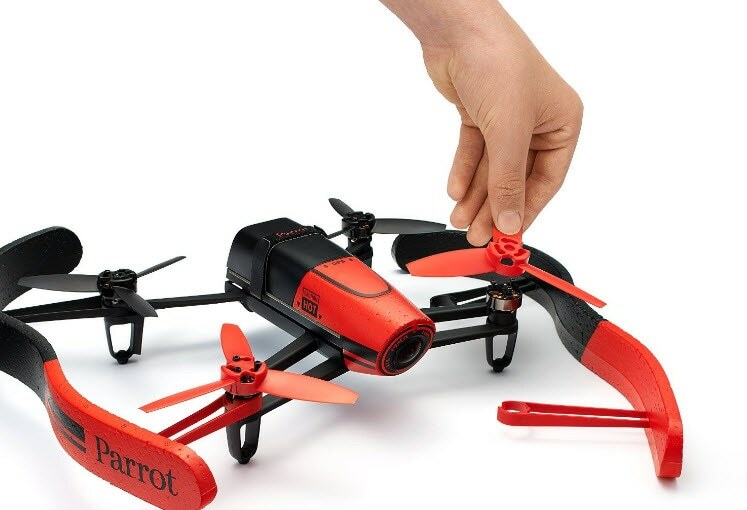 This clever drone even includes a simulator for you to practice before using your drone which is great for those that want to perfect their flying skills. The battery lasts for up to 20 minutes of in-flight action per charge and to keep track there is a battery status so you don't run out in the middle of the flight. 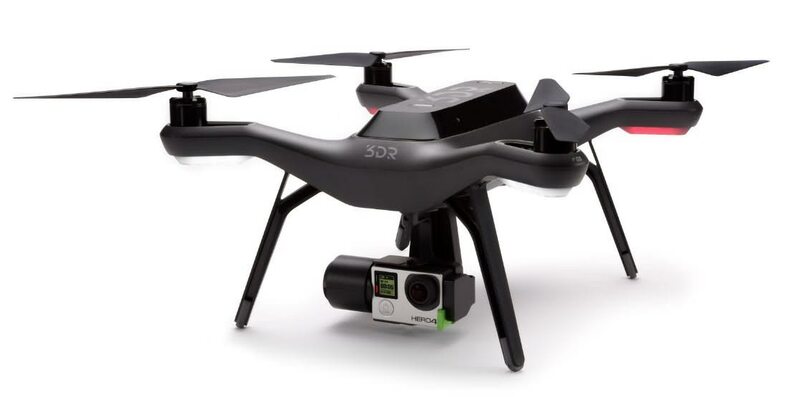 If you are looking for 4K package drones under $500 the UPair One can be bought from $250 depending on whether you want the 2K or 4K camera. It has been compared to GoPro quality and has been around since the end of 2015. 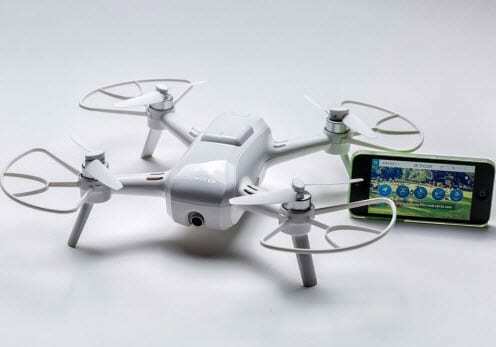 It was created as one of the affordable drone's alternatives to the DJI Phantom 3 which means you will be able to get the majority of the features for less. Everything except for the propellers is already set up so it's simple to set up and go. Even the camera and gimbal have been mounted to make it easier. The GPS system can return home quickly with only 10 feet between its landing and the original take off location. There's no need to recalibrate as it does it automatically while in flight and is able to fly up to 1000 meters from the operator. Drone racing has really taken hold over the past few years and has become somewhat of a sport. 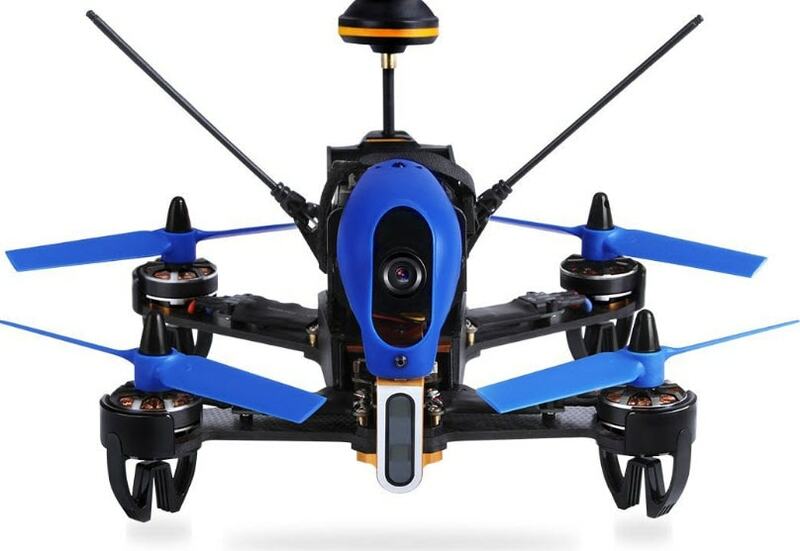 As well as the flying experience the Walkera F210 captures great videos of the race and it's pretty much ready to fly as it's assembled in the box. It's extremely responsive, built robust in case of crashing, responsive and best of all fast. The camera is not only great in daylight, but also has night vision so that you can up your race when the sun goes down.